Siig, Inc - Siig Nn-E20012-S2 2-Port Firewire Pci Adapter - 2 X 6-Pin Ieee 1394A Firewire External - Plug-In Card "Product Category: I/O & Storage Controllers/Usb/Firewire Adapters"
Addonics Ad2u3px1 2. Port Usb 3.0 Pci. Express Card Adapter . Pci Express X1 . Plug. In Card . 2 Usb Port(S) "Product Type: I/O & Storage Controllers/Usb/Firewire Adapters"
U.S. Robotics Usr8402 2. 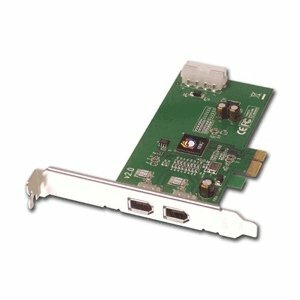 Port Pci Express Usb Adapter . Pci Express . Plug. In Card . 2 Usb Port(S) "Product Type: I/O & Storage Controllers/Usb/Firewire Adapters"
Startech 7 Port Superspeed Usb 3.0 Hub . Desktop Usb Hub With Power Adapter . Black . Usb . External . 7 Usb Port(S) "Product Type: I/O & Storage Controllers/Usb/Firewire Adapters"